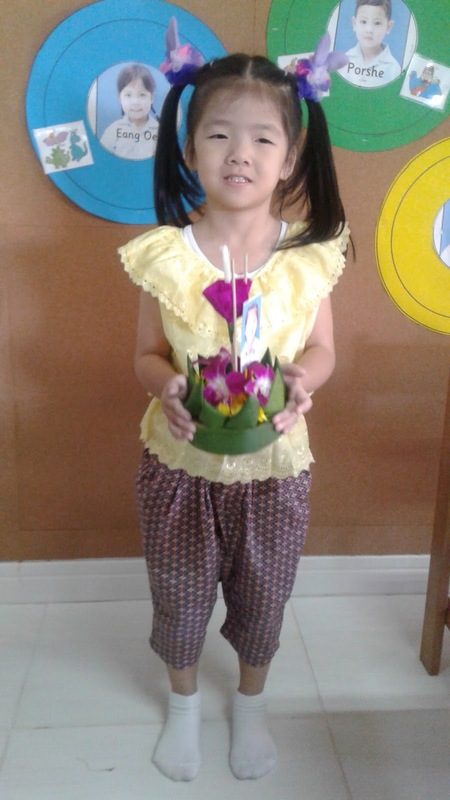 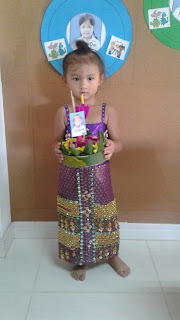 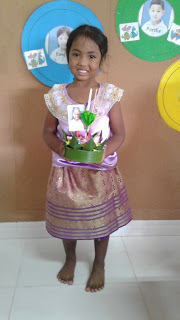 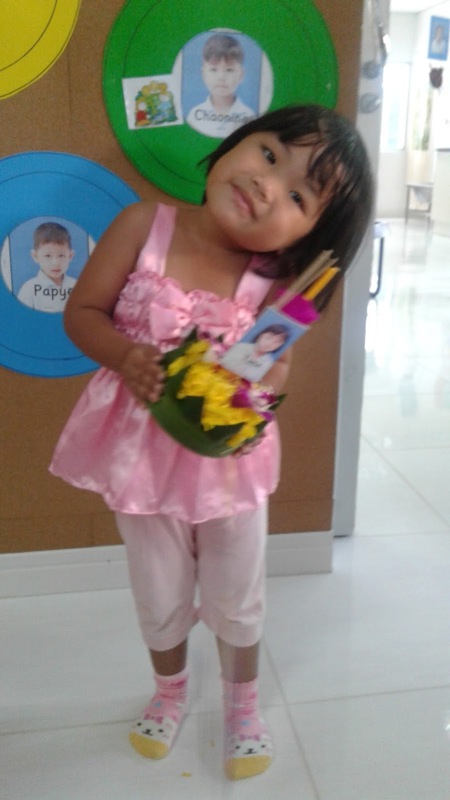 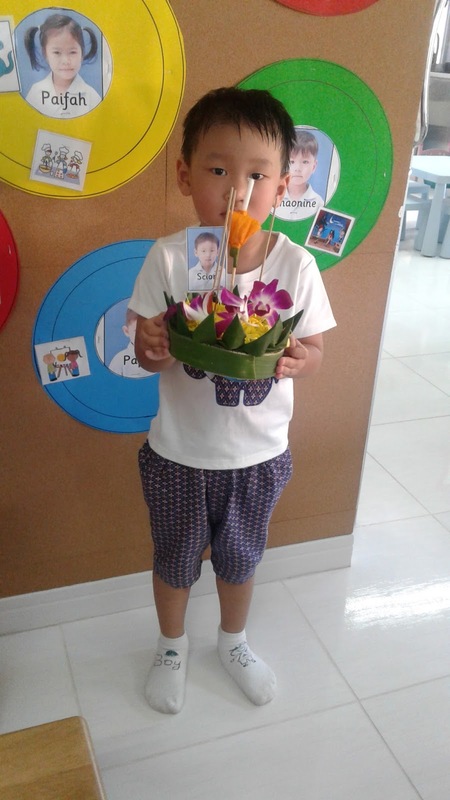 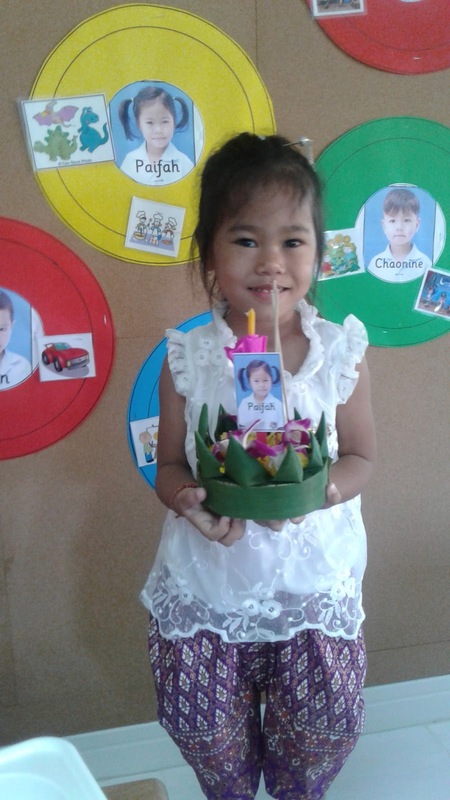 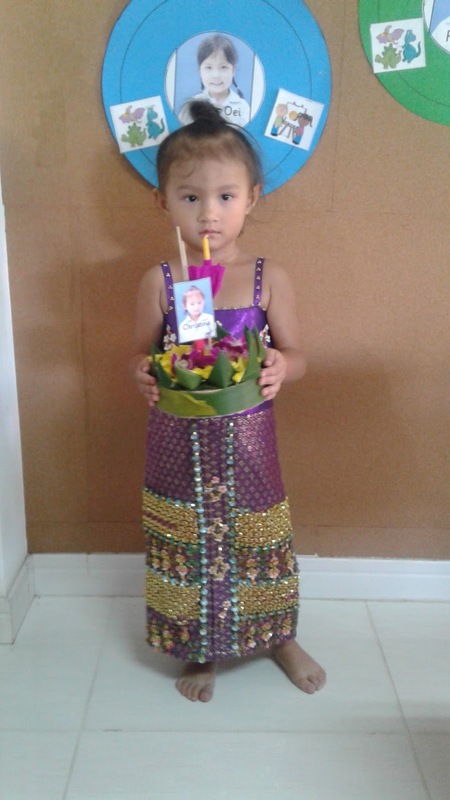 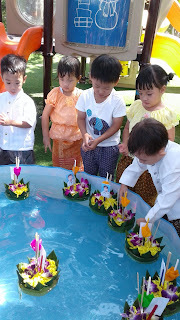 On Friday November 3 we celebrated Loi Kratong in Foundation. 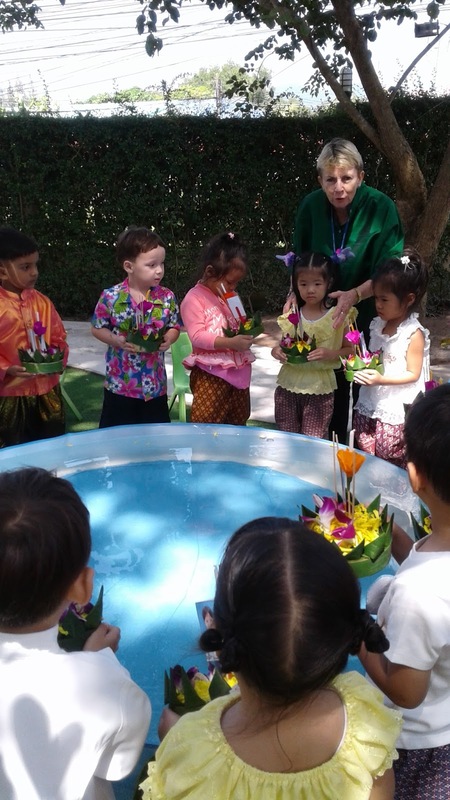 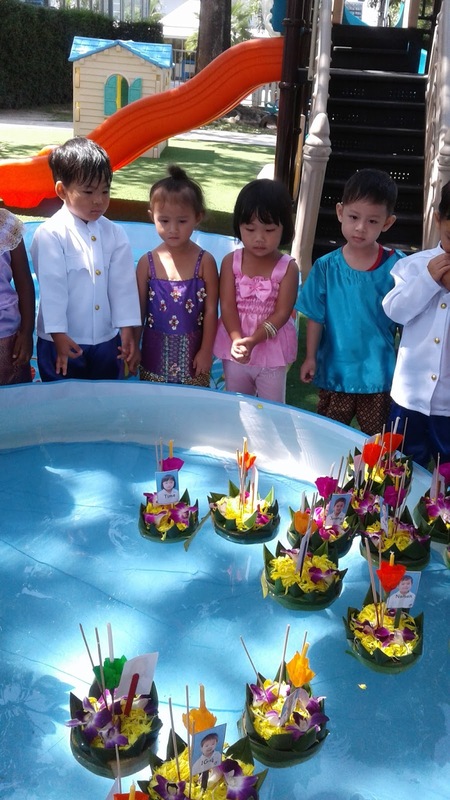 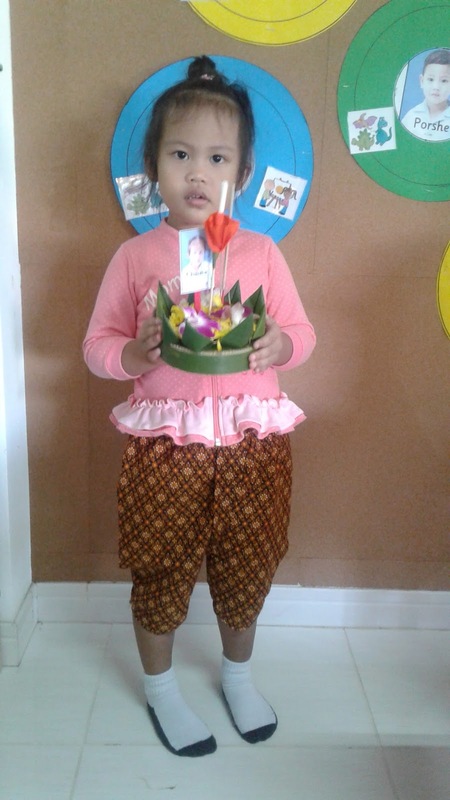 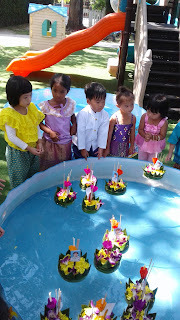 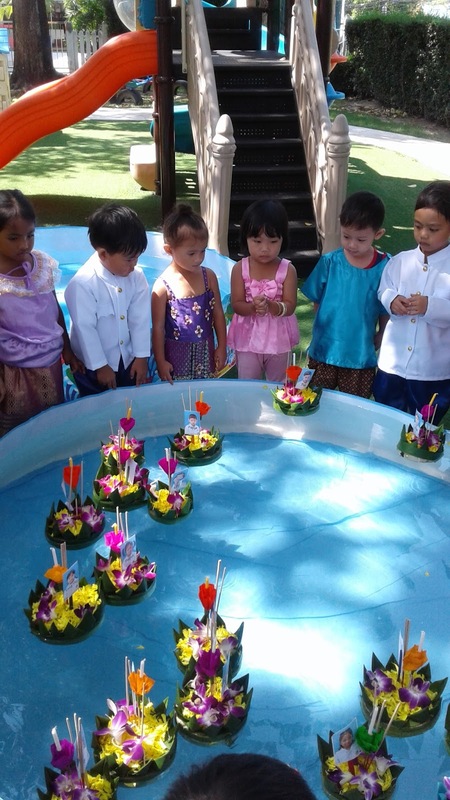 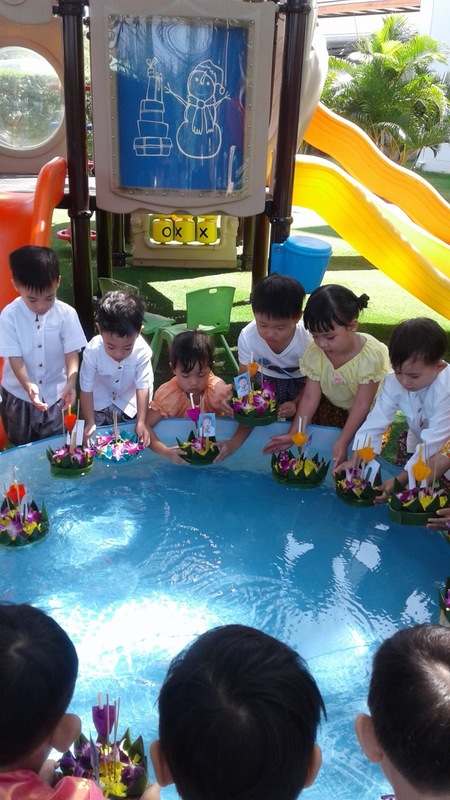 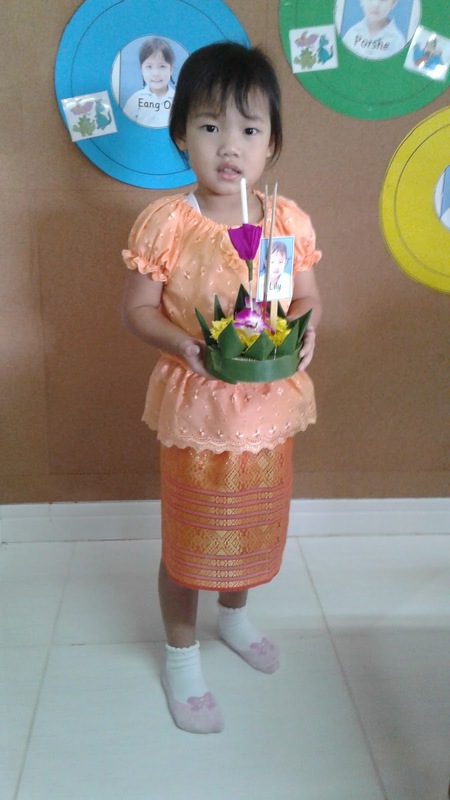 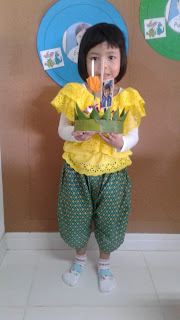 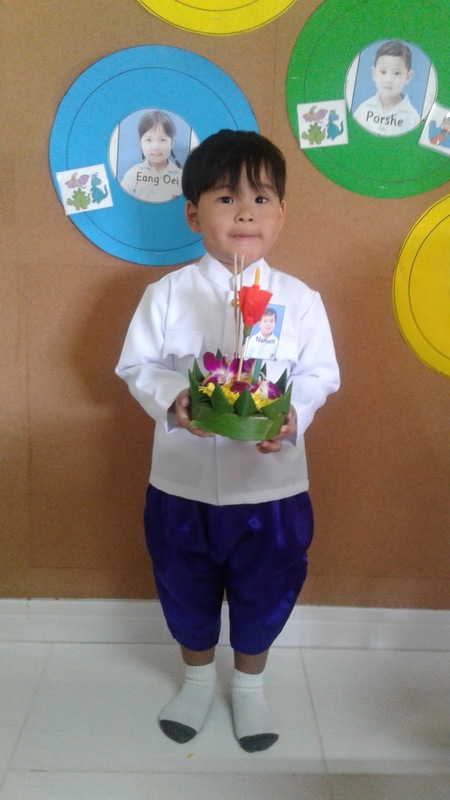 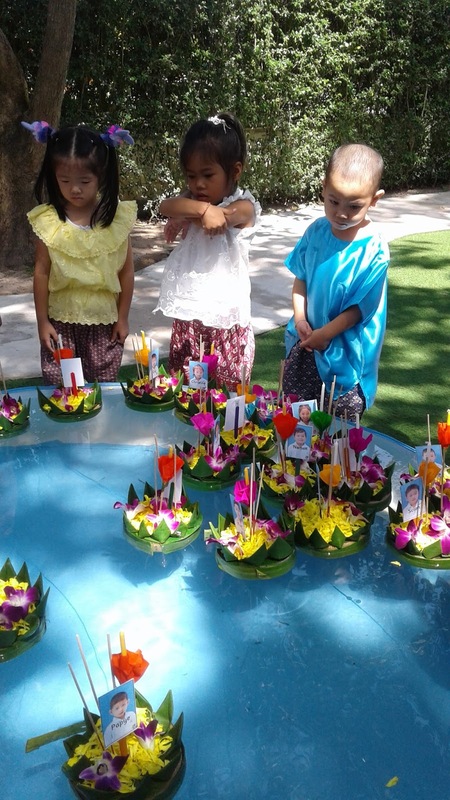 The children came dressed in lovely Thai clothes and throughout the day took part in making and floating their kratongs. 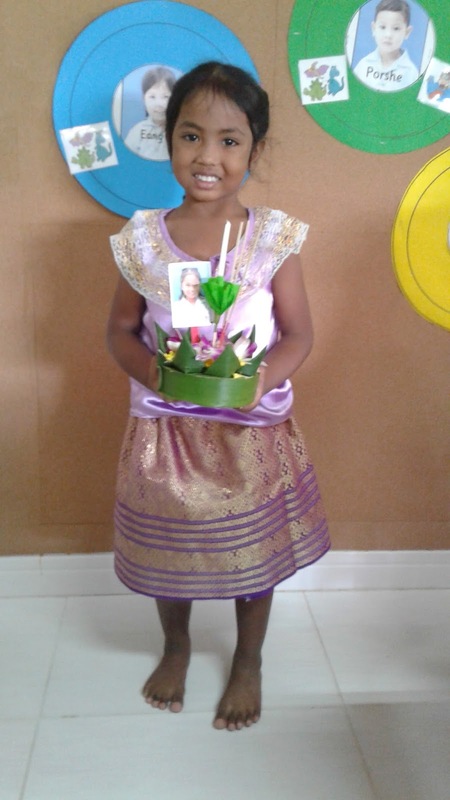 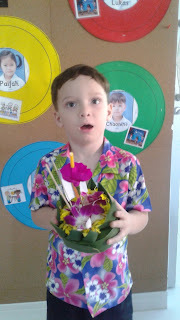 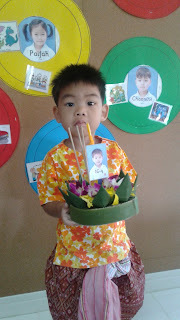 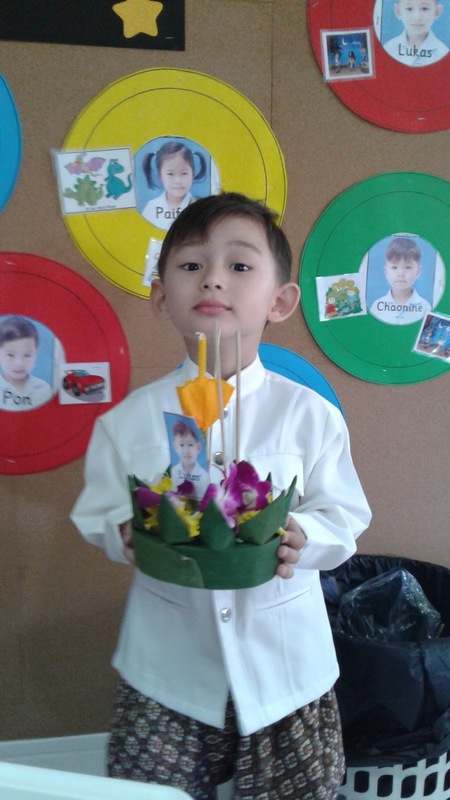 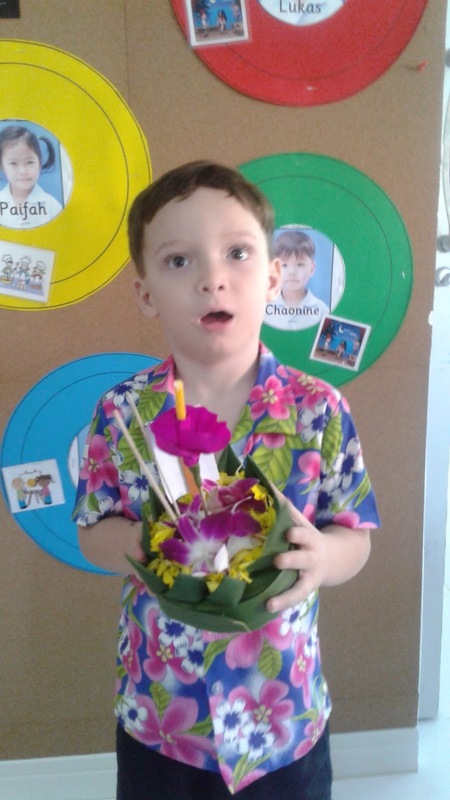 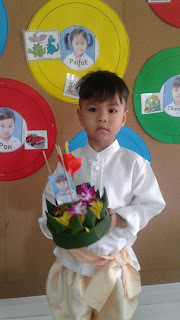 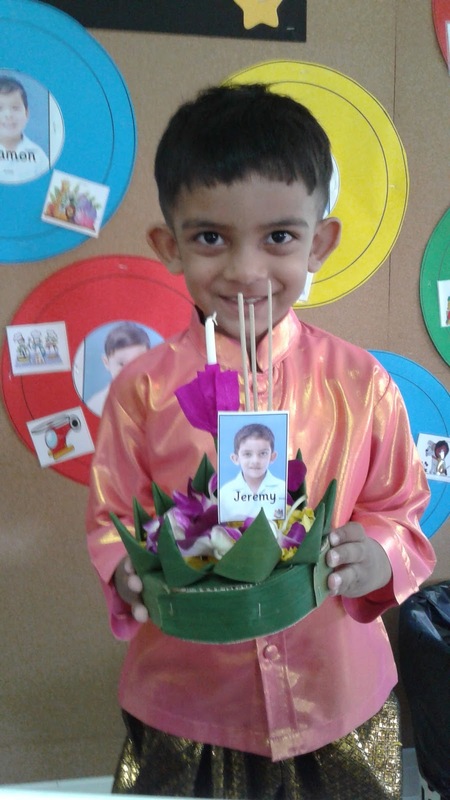 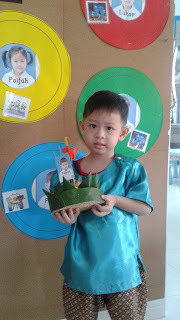 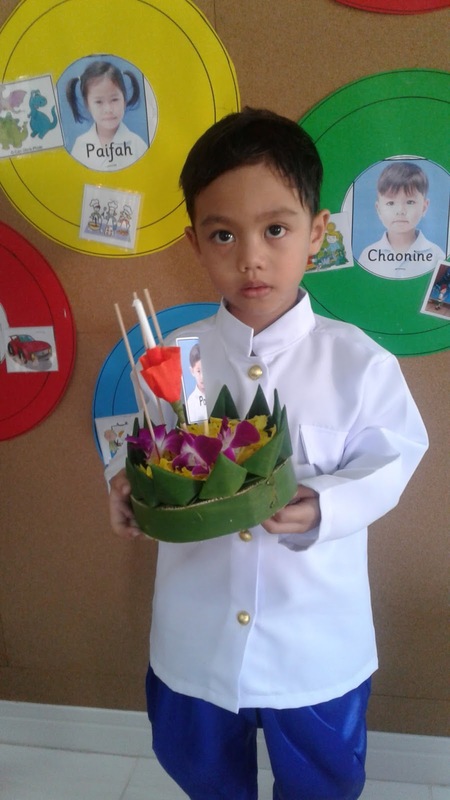 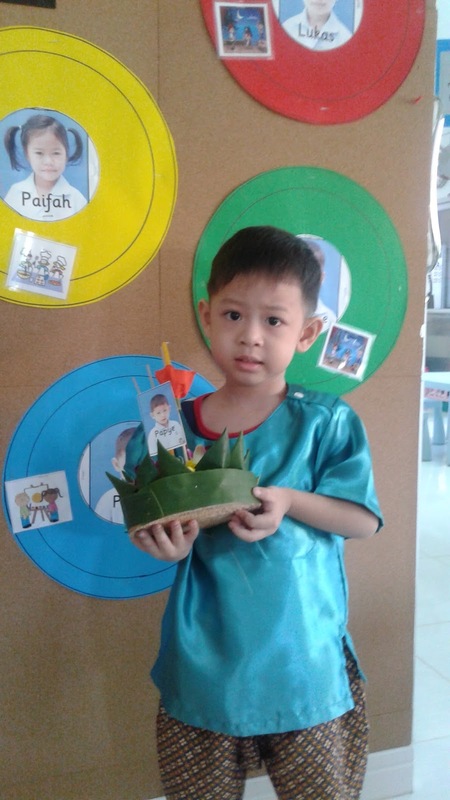 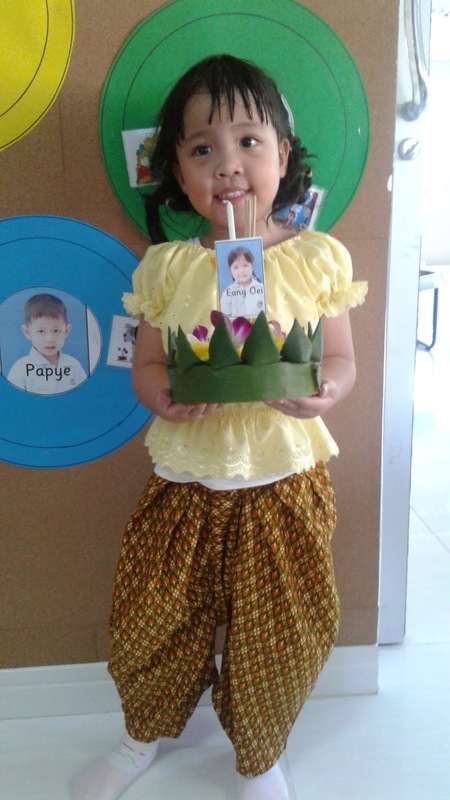 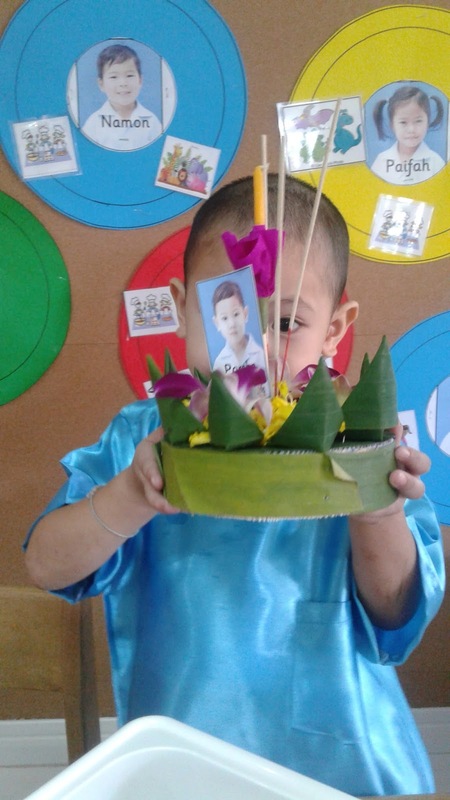 Each child made their kratong with the help of a teacher and then had their photo taken. We all went outside before lunch and floated our kratongs in the wading pools in the playground. 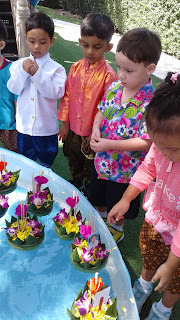 We watched a video of the Loi Kratong music and sang along. 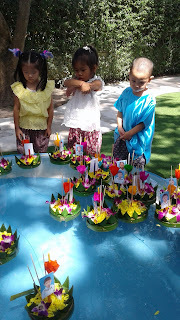 We saw that the moon was going to be full on the night of Loi Kratong and many of the children told me that they had seen it on the night. 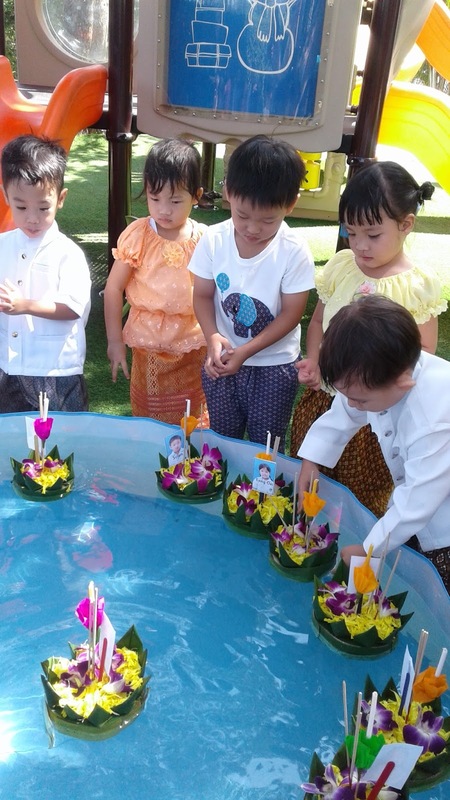 What is Loi Kratong and what do people do? Whenever we talk to the children about a celebration or festival we show them a simple explanation of why it is celebrated and by who. 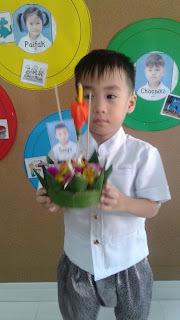 We watched a short video describing when it is held and what people do. We also read a book about a young boy in Thailand named Juk and the different things he did around Thailand.